Description: You only have 8 songs to listen to forever, what are they? 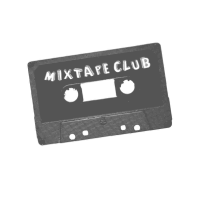 Tags: "Desert Island EHS" "EHSMIXTAPECLUB"
Last Mountain Songs from Hanstv on 8tracks Radio. LOST is My Favorite Show... from kith99 on 8tracks Radio. Permanent Vacation from rhett_krafczyk on 8tracks Radio. Music for the Rest of My Life from Ali_197 on 8tracks Radio. b-tter existentialism from olivia.s23 on 8tracks Radio. From Here to Eternity from JadeVanags on 8tracks Radio. Still not Lost- Dad from Connor Fisher on 8tracks Radio.